Pullman Foundation Celebrates 67th Annual Scholar Class by Making College Dreams a Reality; 2017 Application Opens Early November. Nearly 40 million people in the U.S. hold about $1.4 trillion in student loan debt. It’s estimated that college graduates from the Class of 2016 will each rack up an average of $37,000 in student loan debt, an increase of six percent from last year. 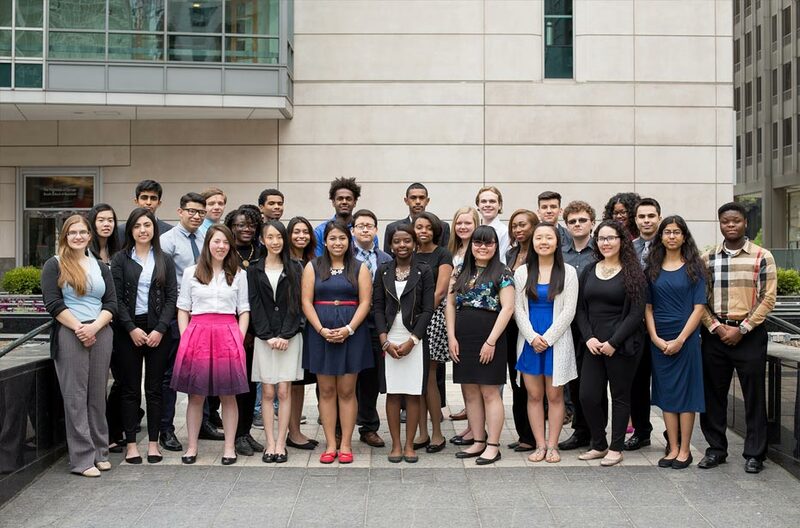 In an effort to alleviate college debt for bright, Chicago-area, college-bound high school seniors and keep them on the right track throughout their college journey, The George M. Pullman Educational Foundation announced the 30 new scholarship recipients to make up the 67th Class of Pullman Scholars. Rooted in Chicago since 1950, the George M. Pullman Educational Foundation has invested more than $32 Million in Chicago’s driven yet under-resourced students who aspire to earn a college degree. The newest class of Pullman Scholars, who are now settled in on campuses across 16 different universities, will have cumulatively received nearly $1 Million in scholarships and educational supports during their pursuit of a four-year college degree. Without the burden of immense debt, similar to the more than 14,000 Pullman Alumni that came before them, this year’s 30 Pullman Scholars are attending schools such as Chicago’s own DePaul University, Loyola University Chicago, and the University of Illinois as well Howard University, California State University, Long Beach and Duke University to name a few. Nearly half of this year’s class of outstanding individuals are first generation and the majority (63%) are young women. The 67th Class of emerging leaders are now able to pursue some of today’s most in-demand fields, including biochemistry, engineering, public policy, public health, pre-med and international relations, made possible by the four-year renewable scholarship up to $10,000 a year. The George M. Pullman Educational Foundation is ready to begin its search for 2017 scholarship candidates. Starting November 7 until February 3, Cook County seniors with a 3.0 GPA or higher, plans to attend an accredited college or university pursuing a bachelor’s degree and demonstrates financial need are encouraged to apply to become a Pullman Scholar. View the Class of 2020 Pullman Scholars here.